The statistic shows the number of unique mobile malware programs that were detected for the first time from 2016 to 2018. 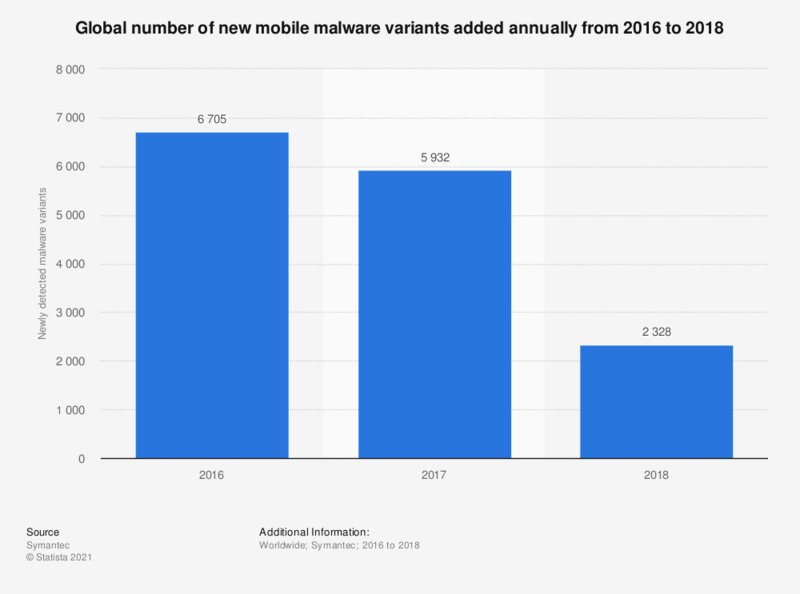 In the most recently reported period, 2,328 new variants of mobile malware were observed, which was a decrease in comparison from the 5,932 mobile malware variants that were observed in 2017. Do you think the British government should regulate the internet more?